Descrizione:The Electric Scooter Cross can be rented only for hours. Minimum 1 hour . Only over 16 years old can drive E-scooter Cross accompanied by an adult. The E-scooter Cross can go on cycle path, on the pavement and promenade. It can not circulate on the street. 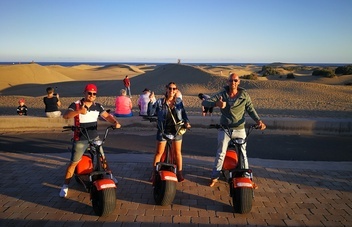 The E-scooter Cross is not suitable to go in the sand and off road. Rental price includes RC insurance + Taxes + Lock + Lights + Map + Free breakdown assistence in resort area in opening hours. 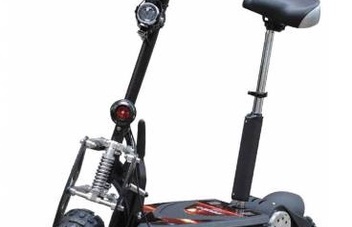 The 1900W Brushless adult electric scooter is the best option to move around the city. 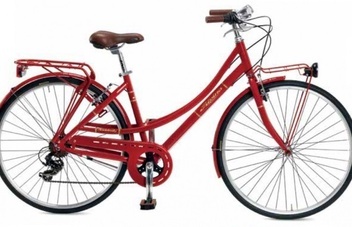 The electric motor does not have brushes and can reach a speed of 25 km/h. It has a range of 40 km with a single load. Descrizione:Rental price includes RC insurance + Taxes + Basket + Lock + Lights + Map + Free breakdown assistence in resort area in opening hours. 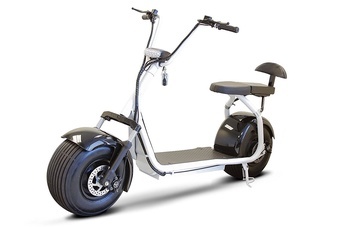 Battery / motor: Brushless motor 250 watts (complies with the European standard) mounted on the rear wheel. Engine torque: 26 Nm. Battery 24 volts / 8.8 Ah. Samsung elements very stable. LED control panel with 3 modes + a "walk" mode to get off the bike and take it to the side. Autonomy from 30 to 40 km. 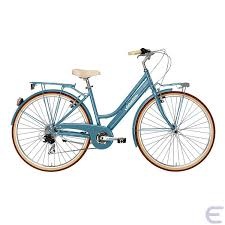 Accessories / Equipment: Integrated luggage rack with self-locking system to carry bags, fenders, chain protector, strong aluminum trestle specially designed to support the weight of electric bicycles, bell. The bicycle is delivered with the charger. Descrizione:Rental price includes RC insurance + Taxes + Basket + Lock + Lights + Map + Free breakdown assistence in resort area in opening hours. Mixed tires. Visibility LED lighting front and rear, powered by the battery. 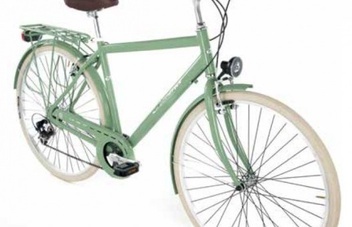 Semi-elevated steel handlebar. Adjustable and adjustable power. Semi-elevated position to combine sports trips and outings. The power can be adjusted to ensure a good position of the bust. Front and rear brake. Aluminum V-brake stirrup. Quick seat adjustment without tools. 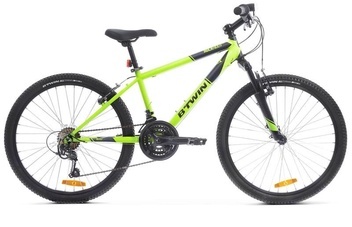 Weight: 25.4 kg in size M. 25.9 kg in size L.
Bicicletta MTB BTWIN ROCKRIDER 340 26"
Mountain bicycle. 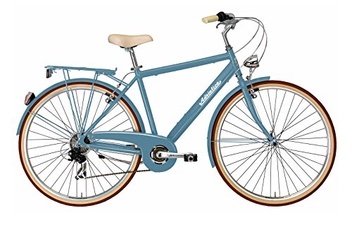 Lightweight aluminum frame and the 21 SHIMANO speeds. 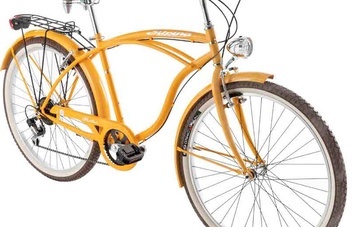 Advantages: upright position, 80 mm suspension, "hamac" saddle ERGOFIT. 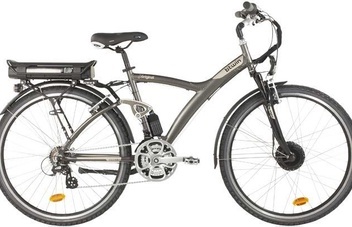 Performance Advantages: light frame, 21 speeds, rolling tires (with dry weather). Accuracy Track control: brake shoes V-Brake, pneu. with side studs. XS,S,M,L, XL sizes. 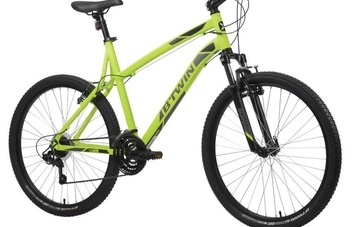 Bicicletta MTB BTWIN 500 24"
Descrizione:Children mountain bicycle. Rental price includes RC insurance + Taxes + Basket + Lock + Lights + Map + Free breakdown assistence in resort area in opening hours. 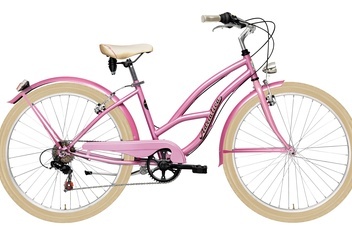 Conceived for children, from 8 years (from 135 to 155 cm), who practice BTT. 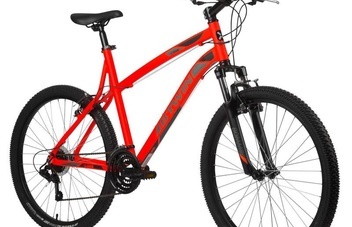 24-inch bicycle equipped for the practice of mountain biking. 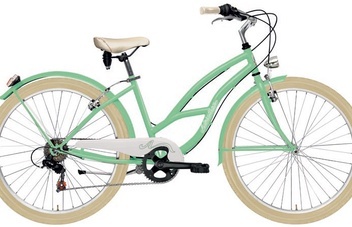 18 speeds with rotating cuffs and fork with suspension to go everywhere. Descrizione:Rental price includes RC insurance + Taxes + Basket + Lock + Lights + Map + Free breakdown assistence in resort area in opening hours. Wheel 26 "Steel frame, 1" steel fork. Shimano TY211 gearbox with 6 speeds. 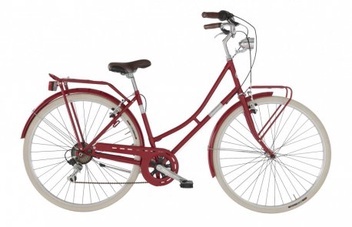 26 "aluminum rims Frame size 46 cm c / c 90 ° saddle. 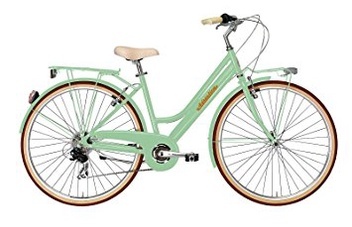 Available colors: Pink, Light Green, Salmon Pink, Military Green. Descrizione:Rental price includes RC insurance + Taxes + Basket + Lock + Lights + Map + Free breakdown assistence in resort area in opening hours. Wheel 26 "Steel frame 1" steel fork. 6-speed Shimano TY211 gearbox. 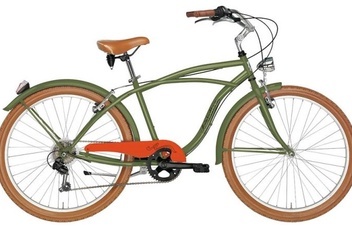 Available colors: Yellow and Military Green. Descrizione:Rental price includes RC insurance + Taxes + Basket + Lock + Lights + Map + Free breakdown assistence in resort area in opening hours. 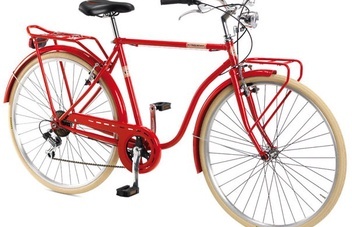 The bicycle comes well equipped with aluminum rear rack and front rack. Aluminum rack included, up to 15 kilos in weight. Equipment: Goat leg and front rack, chain covers and fenders painted to match. 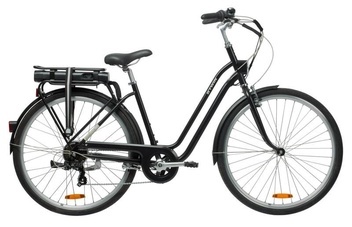 Tires 28 ", Total Weight 14.7 kg, Speeds 6v. Descrizione:Rental price includes RC insurance + Taxes + Basket + Lock + Lights + Map + Free breakdown assistence in resort area in opening hours. 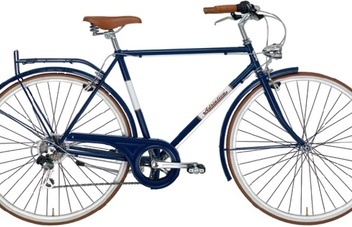 Bicycle model retro man aluminum frame wheel 28 "Frame Frame: TRK ALU Fork Fork: Hi-Ten Oval Tig Shifting Lever controls: Shimano RS 36. 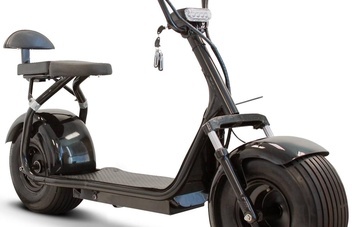 Descrizione:The Electric Scooter chopper doble seat can be rented only for hours. Minimum 1 hour. Only over 16 years old can drive E-scooter Chopper accompanied by an adult. The E-scooter Chopper can go on cycle path, on the pavement and promenade. It can not circulate on the street.